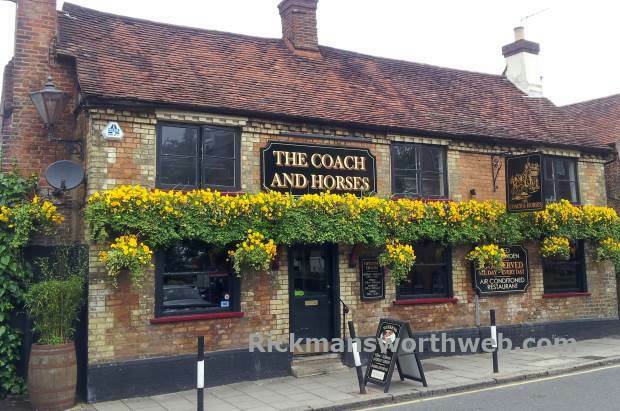 The Coach and Horses is a pub in Rickmansworth serving wholesome, hearty food and fine wines and ales. The menu is sourced from fresh, local produce and changes daily. The bar stocks over 80 wines alongside ales, beers and lagers. The decor has quite a contemporary flair whilst not disturbing the traditional feel. Customers are welcome to sit in the restaurant inside, in the two bars or in the outside areas.